February is one of the quietest months in the calendar of the grain farmer – the winter crops have not been planted yet and the summer crops are growing. There is not much that you can do to help the crops now as they must develop and set seed for you to harvest. Farming is not only about planting and tending the crops however. This month can be put to good use if you repair fences and buildings, and maintain your tractors and equipment. It always pays to do repairs before the damage is large – the English expression ‘A stitch in time saves nine’ – is still relevant today. If you do minor repairs and maintenance continuously then you will avoid a number of larger breaks that cost you a lot of money and down-time. The winter crop farmers will be preparing to plant the next crop – we know that the 2016 season was a good one for the wheat and barley farmers in the Western and Southern Cape and we hope that this year will also be good for them. Remember not to cut corners – do everything that you do well. 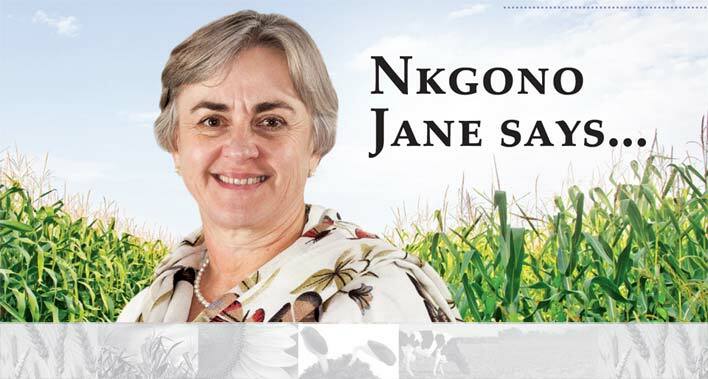 Next month we will be having the Grain SA congress. During this month, you will be invited to regional meetings. Please make an effort to attend as Grain SA is a member organisation and the involvement of members is necessary to keep the organisation alive and vibrant. Remember that only paid up members are entitled to go to the congress – please make sure that you are paid up. If you are unsure about this, contact your development co-ordinator who will be able to assist you in this regard. Marketing of maize might be a challenge – if you have not made plans yet, please do so. We would like you to get the best possible price for your crop so that you reap the rewards of your hard labour. February is a good month for planting trees – this is not something that everyone does but it is becoming increasingly necessary for us to plant trees for our environment. Let us all plant at least one tree this month – you may not live to sit in its shade, but the shade that you are enjoying today was most likely planted by someone else – this is something we do for future generations.